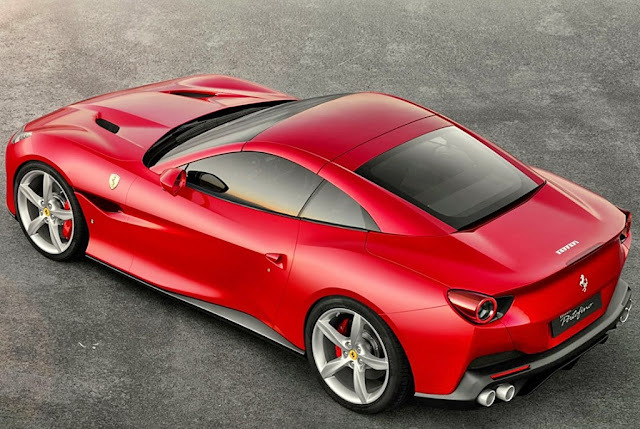 After the bloated ‘bare essentials’ BMW Z4; and the boat-tail Benz Maybach drop-top shown in Monterey, California last week, comes a truly beautiful sportscar – Ferrari’s new Portofino. Pointedly eschewing a reveal in Monterey, leaving the spotlight to be fought over by less beautiful cars, Maranello grabbed all the limelight this week by showing off its new GT which replaces the California T.
The new car debuts in Frankfurt next month. This is Italian subtlety in styling at its best, and interestingly, not an external carrozzeria in sight. It was all done in-house as a collaboration between the design group, and the aerodynamicists from the Formula One team. Portofino is also built on a brand new, superleggera, platform offering outstanding rigidity. Even the name rolls off the tongue with a beauty of expression reserved for this bella machina. One of Italy’s primo resorts, Portofino is famous as a haunt of rich and famous Italophiles. The Portofino is a 2+2 (piccolo persones), with a retractable hardtop, and it looks wonderful top up, or down. The twin turbo 3.9L V8 boasts more power (592bhp), both from uprated internal components, and tweaking the ‘chip’ in the computer management system. 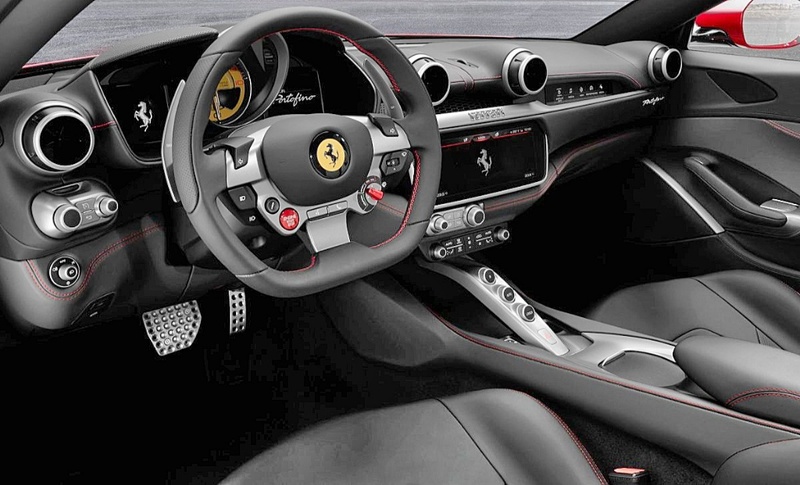 Inside it's all business, with a new steering wheel, paddles which are stationary, and a new touch screen system. I could easily be convinced that this will be one of Ferrari’s best sellers in years. Summing up. In a word, Portofino - Perfetto! MERCEDES-BENZ MAYBACH 6 CABRIOLET. HUH? KIA'S NEW CERATO - MORE OF THE SAME? THANKS! SUBARU BRZ. BOY RACERZ APPLY HERE!